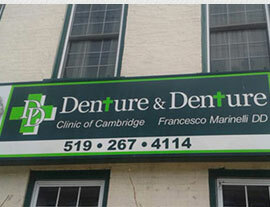 Francesco Marinelli DD is a friendly and caring professional with over 25 years of experience in the dental field. He’s been serving the wonderful community of Cambridge since 2008 and has helped thousands of people to bring back winning smiles. 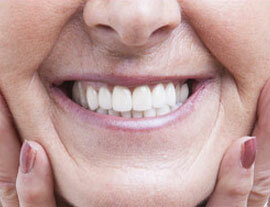 At Denture and Denture we want to give you something to smile about. That is why we are committed to patient care and excellent service. 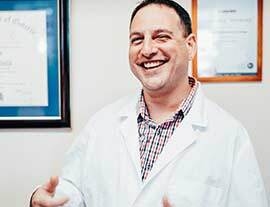 By using only the best quality materials we can be sure to deliver a personalized cosmetic smile unique to everyone. We have a full lab on premises. Most repairs can be done in 1hr or less. Same day relines or processed relines for better durability. Ask for your gift when you get your repaired denture and bring back your winning smile. From existing patients to new patients, we welcome all to contact us at Denture and Denture to book a free consultation and find out what everybody is raving about.